Around 2 a.m. on Wellington Road in Middle Island, a Porsche crashed into the garage of a home in Middle Island. 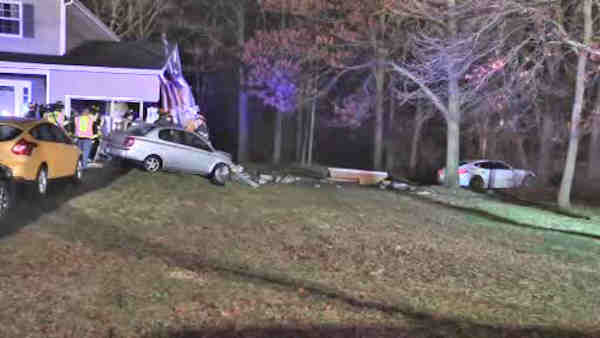 MIDDLE ISLAND, Long Island (WABC) -- The driver of a Porsche slammed into the side of a home on Long Island early Wednesday -- then took off. Around 2 a.m. on Wellington Road in Middle Island, the driver smashed into the garage of a home. It also appeared to hit a car that was parked in the driveway. Police were searching nearby woods for the driver.